DESPITE having revolutionary treatment overseas, it could be a year before multiple sclerosis (MS) sufferer Trudy Swain finds out if she has been cured of the disease. The Orange mother of four returned from Russia last week after undertaking complex and expensive stem cell therapy at Moscow’s National Pirogov Medical Surgical Centre, with husband Tim by her side for the entire process. Mrs Swain made the decision to travel to Russia late last year to have the treatment, which is banned in Australia, after trying numerous disease-modifying drugs that did nothing to improve her symptoms, which include fatigue, pins and needles and lack of balance. Under the watchful eye of the clinic’s Doctor Denis Fedorenko, the 29-day process destroyed her immune system with chemotherapy and rebuilt it using stem cells harvested from her bone marrow. While Mrs Swain said Dr Federenko was confident the treatment had stopped her MS, she must now wait six to 12 months to know for sure. 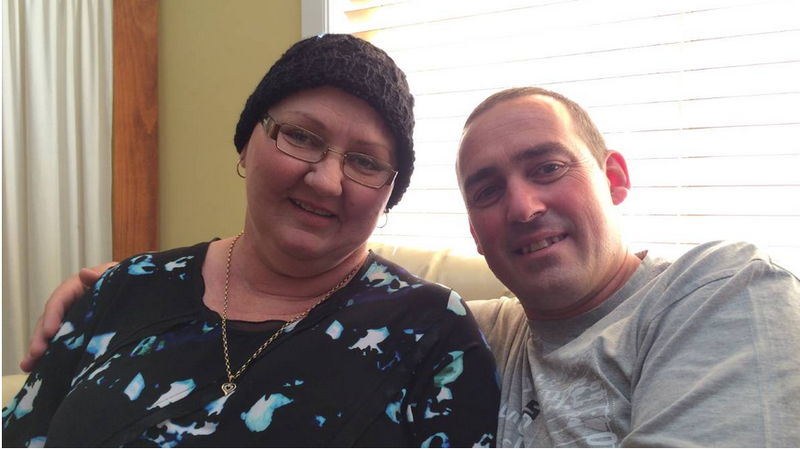 Because her immune system is still so weak, Mrs Swain is in isolation in her home with only immediate family members allowed in until her white blood cell count improves. Mr and Mrs Swain said they will now use their experience in Russia to help other Australians with MS who are looking for alternative treatment solutions. “I said to Trude, you’re not following the light, you’re now carrying the light,” Mr Swain said. Mrs Swain said one of the things that has kept her going throughout the gruelling treatment process was the support of her family, friends and the Orange community, that raised $90,000 in five months to pay for her treatment. “I don’t know what words to use to thank them, thank-you just doesn’t seem enough,” she said.